Have you ever used shaving cream for an art project? 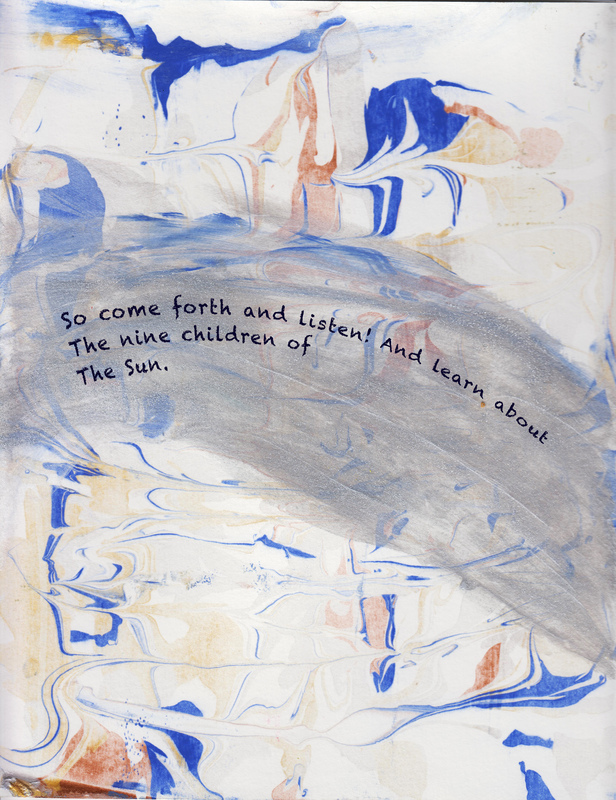 When my brother wrote the poem “Children of The Sun,” we loved it so much that we wanted to get it illustrated. I really wanted to do the illustrations. So, my mother spoke to our art teacher, Ms. Vicki Farmer. 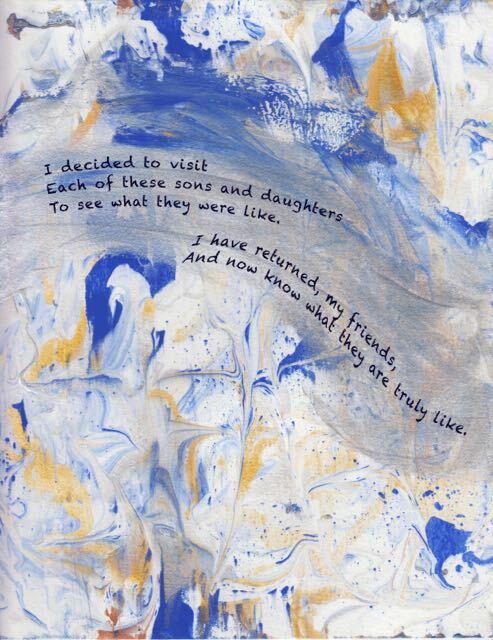 She agreed and guided my brother and me in illustrating this poem. I was very excited when we started doing them. Here I’ll describe the steps of one of the illustrations done by me. 1. First I took a can of Barbasol shaving cream and sprayed it on a foil-covered tray. 2. Then I put dots of brown, gold, and blue acrylic paint all over the shaving cream. 3. Next I took a pencil and made swirls in the shaving cream. 4. Then I put a piece of paper on the shaving cream and pressed down lightly. 5. Next I took the paper off of the shaving cream and scraped the extra shaving cream off with a squeegee. 6. Finally I let it dry for one hour. In all, this took half an hour for the creation and one hour for the drying. I hope you like my illustration, and feel free to try it out. Please buy this book at Lulu.com (you should be able to find coupons). It’s a 50-page full color book. 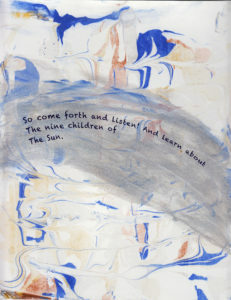 Here’s the Facebook page for Children of The Sun.